All-America Selections has been around for over 8 decades with one goal in mind. That goal is a yearly pursuit to find the best new seed varieties, from around the world, for your gardens. Only the best flowers and vegetables become AAS Winners. The 2017 winners have been selected. Be the first to grow a new trial proven variety winner in your garden. You may not be familiar with All-America Selections but you know some of their past winners. 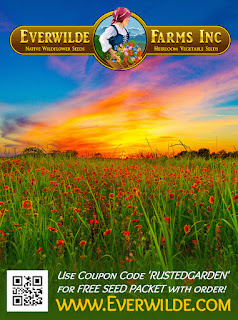 You have probably grown some of their "Tested Nationally & Proven Locally” seed variety winners. You might even have some of them growing in your garden right now. I do. After 85 years of holding seed trails and selecting yearly ‘AAS Winners’, they are everywhere. Why not grow the best varieties in your garden? Select winning varieties for your garden and start with seeds that have been tested and proven across North America. That is one way to have great success in your garden. There are so many other vegetables and flowers too, that you probably already know and grow. 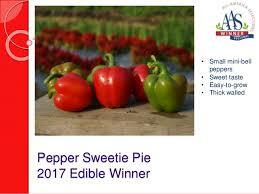 The peppers ‘Giant Marconi’, ‘Gypsy’ and ‘Super Cayenne’ are all past AAS Winners. If those names don’t ring a bell, how about the 1943 winner that goes by the name ‘Sweet Banana.’ The ‘Sweet Banana’ pepper is probably grown in every garden across North America. How about the 1935 AAS Winner ‘Straight 8’ cucumber? Love radishes? The ‘Cherry Belle’ was a winner in 1949. The ‘Champion’ was a winner in 1957. These are radish standards now, grown in most of our gardens. Squash winners include: 'Early Prolific Straightneck’ in 1938, ‘Black Beauty’ in 1957, ‘Fordhook Zucchini’ in 1942 and ‘Peter Pan’ in 1982. So many of our old “tried and true” favorite garden varieties, were first introduced to us by All-America Selections. The past AAS Winners have become part of gardening history. They have a complete database of over 800 winners and new winners are added to it yearly. Why not grow a piece of gardening history? And while you are looking over the past winners, pick up some of the newest winning 2017 varieties. Get the best varieties, from the past and present, for your garden. You can find these award winning seeds, for your garden, by going to their website. They will link you to dozens of seed companies that sell AAS Winners. 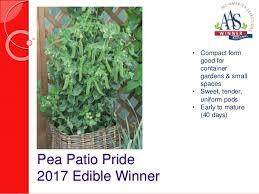 No they don’t sell them directly, they only have one goal and that is to find proven vegetable and flower varieties that will grow in your garden. Only the best varieties become AAS Winners. The video fully covers these main points and really shows you how to get started. If you let your plant's soil completely dry out it damages their root systems. And of course if you just don't get enough direct sun, your plants suffer. Learn the basics and you will have great success. Another key is to have a peaceful and pleasing space to grow your plants where you can show them off to family and friends. This is what inspired Shirley to create the frames I used. 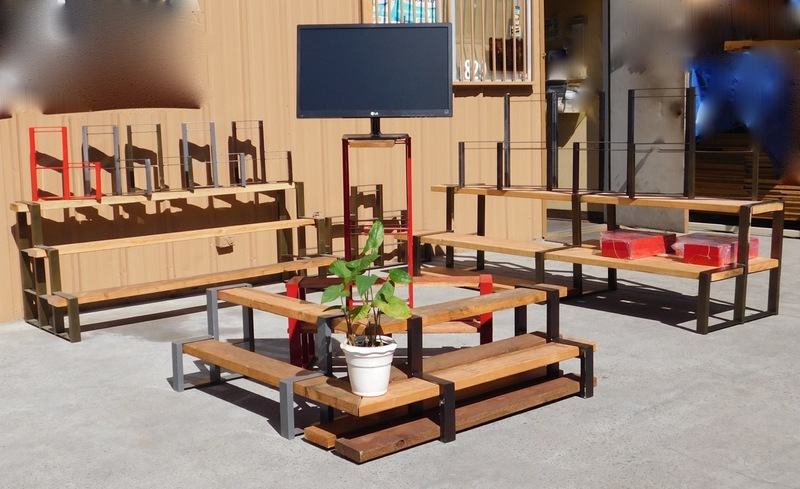 She wanted a system that could be assembled and disassembled without tools. When the season ends your shelves can be quickly taken down and stored. 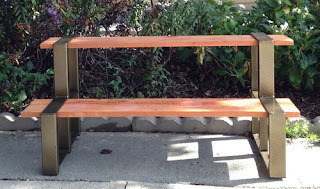 She also wanted something solid and beautiful that added to the garden space. Pick a place for your container garden where you can enjoy it daily. A place that is a short walk from your house for easy care and maintenance. Also put some thought into the design. Tiered shelving is a really easy way to create space for a container garden. I used Shirley's Simple Shelving for the shelving in this video. I highly recommend it, as you can build your own custom shelves without tools. You purchase the frames from her and insert the boards you wish to use for your space. I stained my boards red and created this space. This video shows you all the basics for starting your first container garden and I show you how I transformed my deck into a more functional container gardening space using Shirley's Simple Shelving. They are currently offering free shipping for these solid welded steel frames. 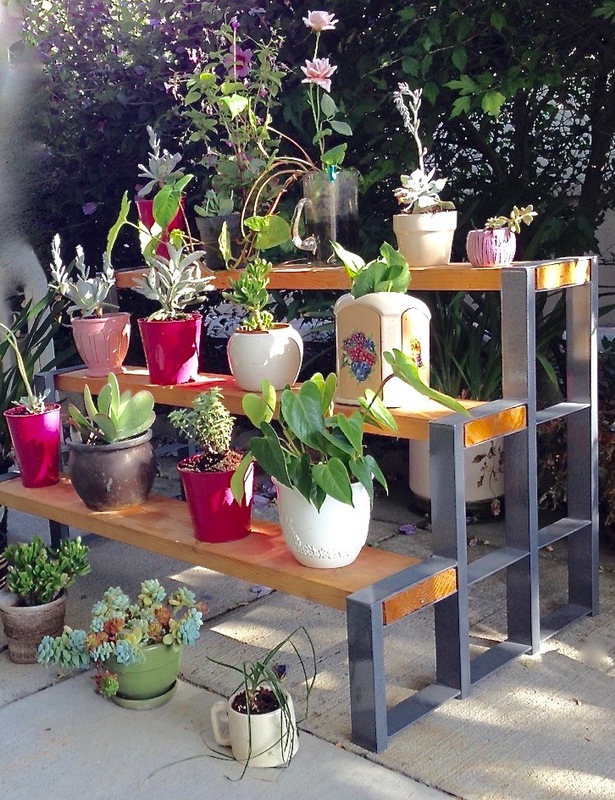 A huge discount to get any of her shelving frame designs to your garden. She has some that are small enough for tables in your home and large enough for holding 6 tiers of shelving in your garden. You can view all the sizes and colors in the above video. I highly recommend visiting her website. You can also reach and follow her on Instagram Shirley's Simple Shelving. In the video you will also see how I disassembled and assembled two framed shelving systems without tools. I did it in just over 2 minutes. I also cover basic set up ideas for a container garden, talk about the 3 key points, highlight plants that grow well in 5 gallon containers, discuss watering, show you how to make a drainage hole, how to make a cheap and effective starting mix and how to plant and organically fertilize. A lot of information for a basic introduction to container vegetable gardening. It is everything you need to know to get started. Start small and get your hands dirty. You will find there is a little bit of a learning curve but if you just get started you will impress yourself with what you can grow. 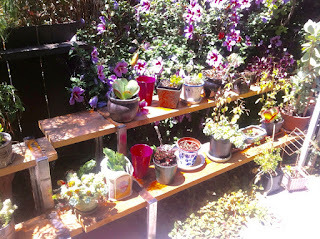 I recommend growing a mix of flowers, vegetables and herbs. A small space on you deck or balcony is all you need to get started. And I recommend using Shirley's Simple Shelving System. Please check out her site. Tools of the Trade 360 Degree and Upside Down Garden Sprayers: Find Them at My Garden Shop! Find Them at My Garden Shop! Two types of spray nozzles that can make gardening easier for you. They allow you to reach all angles when spraying your plants without struggling to keep the liquid at the end of the dip tube. Spraying under leaves is key for some insects, diseases and fungus. You can find this product on-line or at my garden shop.